Don't get caught up in this week's cosmic insanity! Expect plenty of rumblings in the cosmic sky this week. Mars is the reason, and he is definitely going to make some noise in your life! Also, communication planet Mercury changes signs, while Saturn, the planet of karma and discipline, turns retrograde. See what's going to happen in your near future with a Timeline Tarot reading. 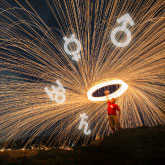 On Tuesday, with action planet Mars in Aries making a harmonious connection with visionary planet Jupiter in Leo, you'll have a "high octane" kind of day, in which you'll easily access the best of your energy for a magnificent purpose. Use Tuesday's high octane energy while you can, because on Wednesday it looks like you're about to be pushed out of the driver's seat. Mars will make a volatile connection to both Uranus and Pluto on this day. Tempers may flare, and impulsive behavior is likely to be the rule rather than the exception. Don't get caught up in the insanity! 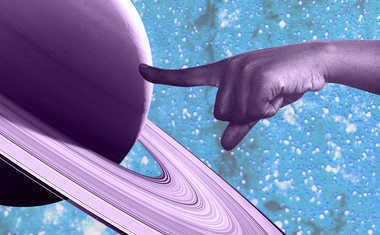 Finally, taskmaster Saturn will turn retrograde at the 5th degree of Sagittarius on Saturday. Saturn Retrograde lasts until August 2, and over the summer he will backpedal into the depths of Scorpio again for a final pull down under. 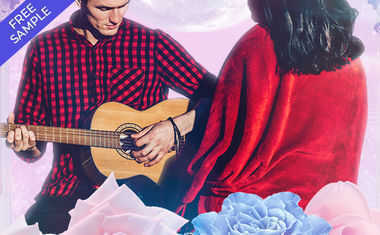 Saturn will remind us that if we didn't let go of what we needed to, how could we ever free our hands to take in what he wants to give us once he returns to Sagittarius in September?